Two out of every three UK women and an even high ratio of British men will be overweight within the next 15 years with the problem expected to worsen across Europe, according to new research by the World Health Organization (WHO). WHO predicts 74 percent of men and 64 percent of women will qualify as overweight, having a body mass index (BMI) of over 25 by 2030, an increase of 4 percent and 5 percent, respectively. Some 30 percent of women and 36 percent of men are expected to be clinically obese. However, Britain is not the worst affected country. 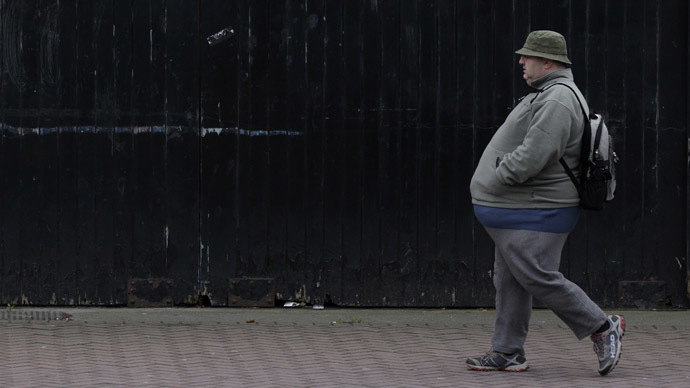 The Republic of Ireland could see 89 percent of men and 85 percent of women overweight by 2030. Even countries with historically positive records on weight and obesity such as Sweden look set to see increases, with 26 percent of Swedish men expected to classify as obese over the next decade and a half. Some attribute the figures to increasing poverty. Tam Fry of the National Obesity Forum thinks the economic downturn across Europe was a major factor. “The less well-off haven’t got the money to buy the good food, often don’t know how to cook, and are ever more reliant on processed foods,” he told The Independent. “Processed food will inevitably be less than healthy and in the end will drive up those obesity figures. Some commentators believe there has also been an increase in prejudice against overweight and obese people, which may serve to entrench the problem. Commenting on a study on the rise of “fatism” released in March, Professor Jane Wardle, director of the Cancer Research UK Health Behavior Centre at UCL, said discrimination is found not only among the general public, but also health professionals who are meant to be helping fat people lose weight. “Everyone, including doctors, should stop blaming and shaming people for their weight, and offer support, and where appropriate, treatment,” she said in a statement. Obesity researcher Dr Sarah Jackson found that “fat shaming” does not encourage people to lose weight, but may actually do the opposite. The study of almost 3,000 British adults discovered on average those who experienced mockery ended up gaining 0.95 kg, while those who did not lost 0.71 kg. One reason for this is “comfort eating,” as people turn to junk food as a way of combating negative emotions. “Stress responses to discrimination can increase appetite, particularly for unhealthy, energy-dense food,” Jackson said.